Rediscover your skin's youthful capacity with the Luxe Mask Duo from French brand, Chantecaille. Housed in a gift box, the innovative treatments bring next-level botanical power to help restore a radiant, lifted appearance. Fortified with 24k Gold and antioxidant-rich Silk Extracts, the luxurious treatment features a probiotic and powerful combination of peptides that tone, firm and lift skin for a radiant, youthful-looking complexion. 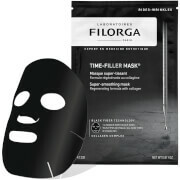 Driving the beneficial properties of Blackcurrant Seed Oil deep into the skin, the mask helps to reduce the appearance of redness and puffiness whilst strengthening the skin barrier. Suitable for all skin types. Infused with a host of powerful botanicals, plant extracts and anti-wrinkle Hexapeptide, the hydrating formula with a pure Rose Water base expertly protects and moisturises skin whilst softening the look of lines and wrinkles. Skin Tightening Agents perform a tautening effect to help smoothen skin's appearance, whilst extracts of German Chamomile and Imperata Cylindrica work in tandem to soothe dry complexions and help retain moisture. 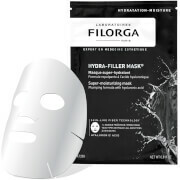 Can be used day and night - either as a mask or moisturiser. 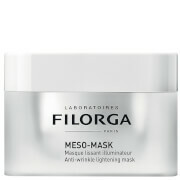 If using as a mask, apply a generous even layer all over face and neck, leave on as long as desired and wipe excess off. Makeup may be applied once excess has been wiped away. Gold Recovery: Rosa Damascena Flower Water, Glycerin, Aqua/ Water/ Eau, Cetearyl Alcohol, Simmondsia Chinensis (Jojoba) Seed Oil, Lactococcus Ferment Lysate, Octyldodecanol, Butyrospermum Parkii (Shea) Butter, Pentaerythrityl Tetraethylhexanoate, Trehalose, Cetyl Alcohol, Cocos Nucifera (Coconut) Oil, Sodium Polyacrylate, Glyceryl Stearate, Sesamum Indicum (Sesame) Seed Oil, Sorbitol, Hydrogenated Polydecene, Ci 77891 (Titanium Dioxide), Ribes Nigrum (Black Currant) Seed Oil, Xanthan Gum, Steareth-21, Astrocaryum Murumuru Seed Butter, Dunaliella Salina Extract, Trideceth-6, Disodium Edta, Linum Usitatissimum (Linseed) Seed Oil, Pentylene Glycol, Helianthus Annuus (Sunflower) Seed Oil Unsaponifiables, Silica, Rosa Damascena Flower Oil, Cardiospermum Halicacabum Flower/Leaf/Vine Extract, Helianthus Annuus (Sunflower) Seed Oil, Rosmarinus Officinalis (Rosemary) Leaf Extract, Ascorbyl Palmitate, Nicotiana Sylvestris Leaf Cell Culture, Acetyl Tetrapeptide-2, N-Prolyl Palmitoyl Tripeptide-56 Acetate, Lactic Acid, Pelargonium Graveolens Oil, Sodium Hyaluronate, Peg-8, Tocopherol, Sodium Benzoate, Dimethicone, Mica, Gold, Ci 77491 (Iron Oxides), Phenoxyethanol, Ethylhexylglycerin, Caprylyl Glycol, Hydrolyzed Fibroin, Sodium Chloride, Potassium Sorbate, Chlorphenesin, Ascorbic Acid, Citric Acid [Citronellol, Geraniol, Linalool, Citral, Farnesol]. Bio Lifting: Rosa Damascena Flower Water, Aqua (Water), Propanediol, Caprylic/Capric Triglyceride, Glycerin, Coco-Caprylate/Caprate, C12-20 Acid Peg-8 Ester, Potassium Cetyl Phosphate, Carbomer, Saccharide Isomerate, Phenoxyethanol, Ci 77891 (Titanium Dioxide), Ethylhexylglycerin, C12-13 Alkyl Lactate, Prunus Armeniaca (Apricot) Kernel Oil, Sodium Hydroxide, Citrus Aurantium Dulcis (Orange) Fruit Extract, Pullulan, Imperata Cylindrica Root Extract, Chondrus Crispus Powder (Carrageenan), Propylene Glycol, Disodium Edta, Triticum Vulgare (Wheat) Protein, Bisabolol, Pentylene Glycol, Tocopheryl Acetate, Butylene Glycol, Algae Extract, Rosa Damascena Flower Oil, Sodium Hyaluronate, Citronellol, Peg-8, Acacia Decurrens Flower Wax, Jasminum Grandiflorum (Jasmine) Flower Wax, Narcissus Poeticus Flower Wax, Pelargonium Graveolens Oil, Citric Acid, Sodium Citrate, Geraniol, Caprylyl Glycol, Centella Asiatica Extract, Tocopherol, Saxifraga Sarmentosa Extract, Sodium Benzoate, Ascorbyl Palmitate, Potassium Sorbate, Linalool, Acetyl Hexapeptide-8, Acrylates/C10-30 Alkyl Acrylate Crosspolymer, Ascorbic Acid.